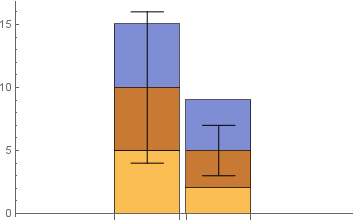 Sorry, I know how to make error bars on normal bar charts, but how can I add vertical error bars to the top of my stacked bar charts, please? I managed to cheat using `Show, but I'd prefer a more elegant method. 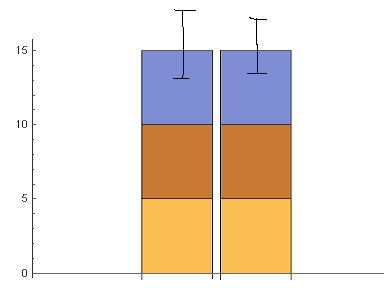 Update: What if I want to put the error bar on the second rectangle out of the three? Not the answer you're looking for? 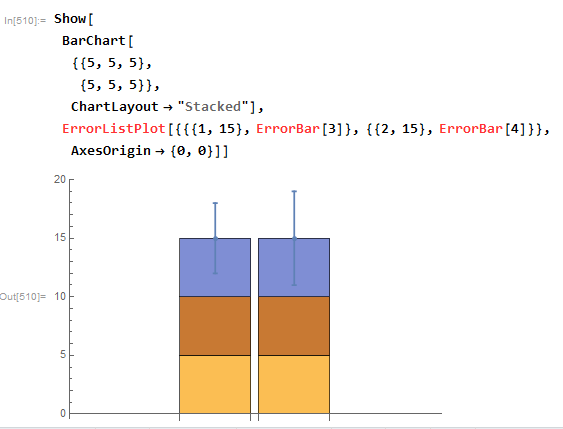 Browse other questions tagged error charts or ask your own question. 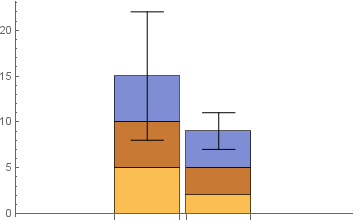 Specify order of bars in a bar chart?